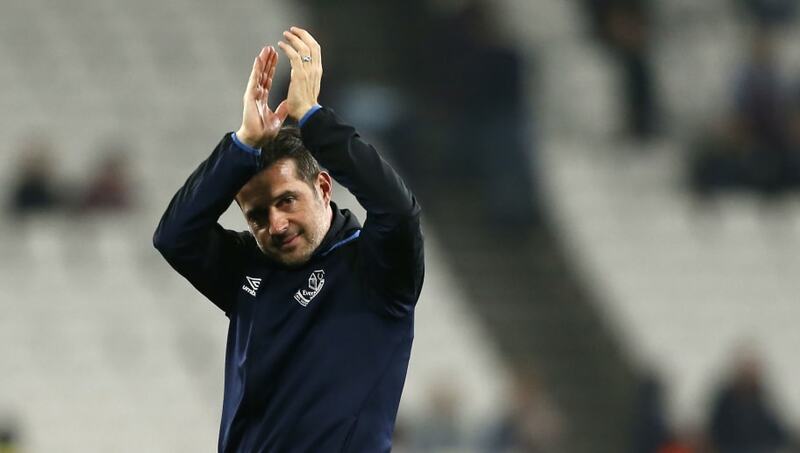 ​Marco Silva insisted that Everton's 2-0 win over West Ham at the London Stadium was a good result for the Hammers after a dominant display from his men. It took just four minutes for Everton to break the deadlock courtesy of the head of Kurt Zouma, and West Ham were never able to recover. Bernard doubled the visitor's lead just after the half hour mark and had it not been for Lukasz Fabianski Everton would've taken a lot more than a two goal lead into half time. Pellegrini made a double attacking change at half time to try and ignite a spark for his ​West Ham side, however ​Everton's dominance continued as they were able to see out the rest of the game with ease, strolling to a ​2-0 win. Speaking to ​BBC Sport after the game, Silva revealed he was delighted with his side's performance and insisted the 2-0 score line flattered West Ham. He said: "I was very proud of our performance and seeing our desire from the first minute. "We were the best team on the pitch, we were playing good football and creating chances. Two nil at half time was a good result for them because it could have been five or six nil. We created chance after chance."